As one of my Christmas presents I was given the Bomb Cosmetics Harajuku Candle Gift Set which contained the Harajuku Glass Candle, Malva Flower Bath Creamer and the Violet Nights Bath Mallow. As soon as I opened it I noticed that it smelt amazing and the bath products were unique and unlike anything I'd ever seen at Lush. 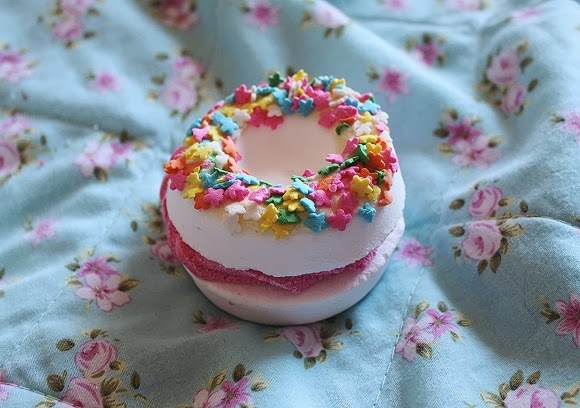 They were designed so well and also smelt lovely, especially the bath mallow which looked like a mini cake. 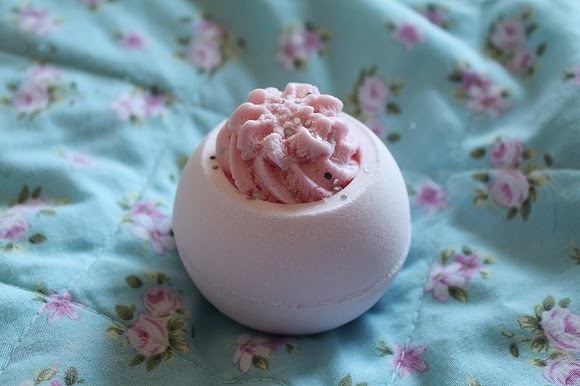 After I used the bath mallow I straight away fell in love and decided to place an order online to try out some more products by them. My order arrived a few days later and the packaging that it came in was brilliant, a bright pink box filled with multicolored foam peanuts, what's not to love about that? This time I could smell the products before I'd even opened the box and once again I noticed how good it smelt and couldn't wait to open it up and have a proper look at everything. 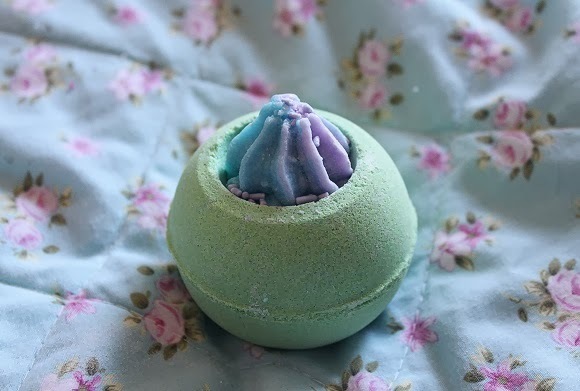 I decided to go for a mix of bath 'blasters' with a candle and bath mallow thrown in there for some variation but they have a massive range of things to choose from with soaps, other home fragrance products, massage bars, body butters and bath salts being just a few of the many other options. It took me so long to choose what to get as everything looked so appealing and sounded like it would smell delicious. "This exotic, sweet scent opens with heady top notes of violet leaves & rosebuds, leading to a heart of violets, roses, lilacs and mimosa. 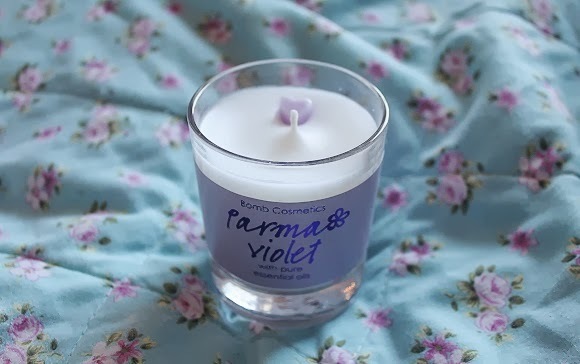 The powdery, delicate base blends cedarwood and purple irises." Fast paced and full of life, the lemon express quickly delivers a large helping of skin softening butters and zesty lemon and lime oils to awaken the senses. A sweet, zesty scent opening with sparkling lemons, limes and green apples. 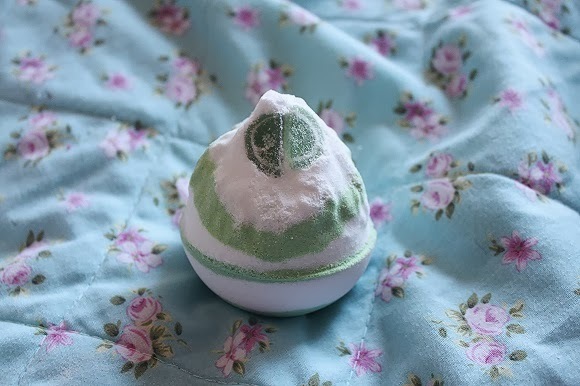 The fresh heart of lily and lemongrass is balanced with creamy vanilla and soft musk." "A blackberry fragrance cocoa butter swirl, with a fresh crisp apple blaster, makes a strange fruit indeed! We call it the Appleberry! With pure grapefruit and black pepper oils to uplift and enliven. Purple Piping: With ripe, juicy opening notes of blackcurrant, the fruity heart blends summer strawberries and raspberries with the subtle scent of blueberries. Creamy caramel and vanilla complement the natural sweetness of the fruits for a warm finish." "We want candy! 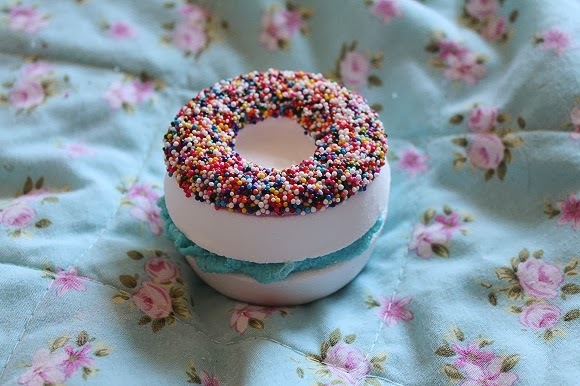 And what can satisfy our sweety cravings more than this cotton candy inspired bath blaster, all the treats without the guilt and left with soft, smooth skin at the end! With pure jasmine and coconut oils. Sugary notes of fluffy marshmallow combines with hints of strawberry fragrance and edible scents of sugar and caramel." 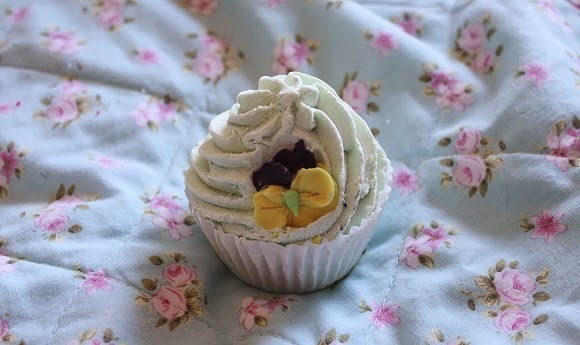 "A fizzy ice-cream and soda fragrance, sandwiching a divine cocoa butter swirl, and with pure amyris and thyme essential oils to pep you up and leave you glowing in all your glory! Wild fruit and red berry notes blend seemlessly with a creamy vanilla base to make a mouth watering fragrance." "Everybody's laughing on the Pineapple Expressed! Juicy fun and freedom with pure bergamot and grapefruit essential oils to pick you up and post you happy! Sweet & zesty pineapple with hints of Lemon & Orange. Creamy Vanilla comes through the base notes to close." "Crammed with everything you need for a perfect summer! A ripe raspberry fragrance combined with a swirl of cocoa butter to prep your skin for the sun and then sprinkled with tiny daisies! With pure ylang ylang and bergamot essential oils. A fresh green fragrance blending red fruits, raspberries and grapes, with accords of blueberry and juicy pears. Finishing with the sweetness of coconut." 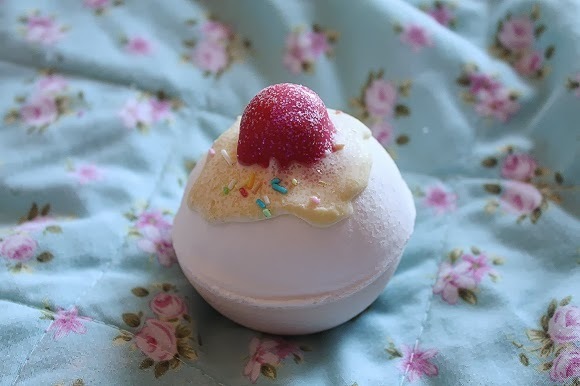 "An exceedingly good bath, combining fruity summer cherry scents and a hint of cookies! Pure marjoram and chamomile essential oils will help relax and soothe you. A warm fruity accord of lush cherry combined with a rich mouthwatering milk cookie fragrance smoothed by vanilla pod and hints of creamy coconut and white chocolate." 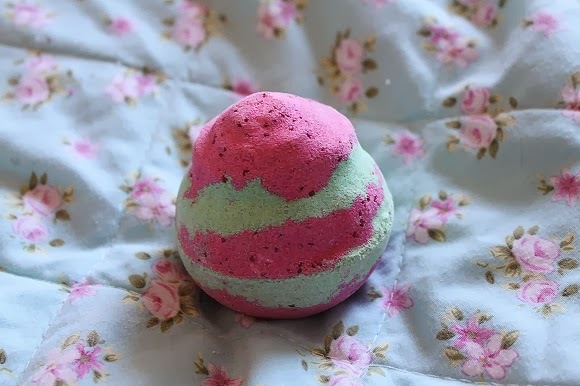 "With a fresh cranberry and lime fragrance, real cranberry seeds and pure lime and marjoram oils, this beautifully bright blaster will brighten up and power up your day! A juicy, fruity accord of Cranberries and zesty Lime with supporting fruity notes of Strawberry, Raspberry, Plum, Peach, Apple and Cassis with hints of White Flowers on a woody base." "Keep on shaking your coconuts, and release the citrus lime, kiwi and coconut fragrances from this fizzylicious feast for the senses. Coconut oil and pure amyris and lime essential oils will enliven and awaken you and send you nuts! 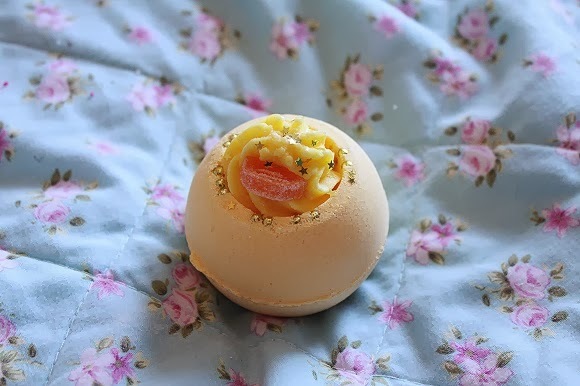 A citrus heart comprising fizzy soda of zesty lime, lemon & grapefruit combined with a creamy sweet confection of coconut ice candy"
"This Bomb Cosmetics Bath Creamer was one of the first types we launched and it still remains a firm favourite. A relaxing Lavender fragrance, coupled with real Lavender and Geranium essential oils ensures a peaceful and tranquil bathing experience. 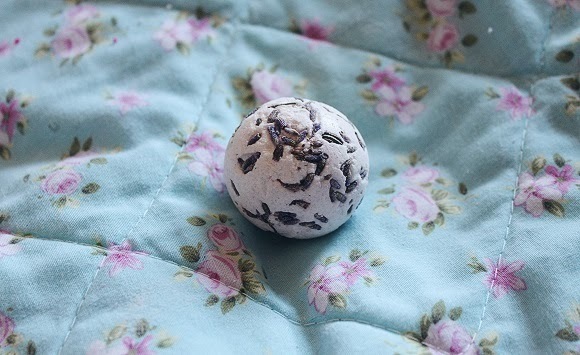 Hand rolled in real Lavender petals. A contempory twist on a classic lavender fragrance with camphorous top notes, Rosemary, Eucalyptus and Pine middle notes and a Musky base note." "Stretch out and feel your spirits being lifted by the power of Mandarin and Grapefruit oils while enjoying a blend of skin nourishing butters as they soften and hydrate." 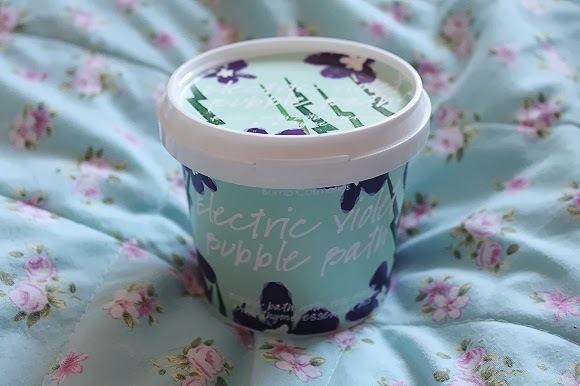 "A shocking new bathtime experience with our violet bubble bath, with enough rosemary and thyme essential oils to leave you feeling energised and revived after your long soak! Pour a little into your bath whilst the water is running to charge those bubbles into an overload! Remember those parma violet sweets when you were little?! This is THE guilty pleasure fragrance, and we have brought a modern twist to a classic." 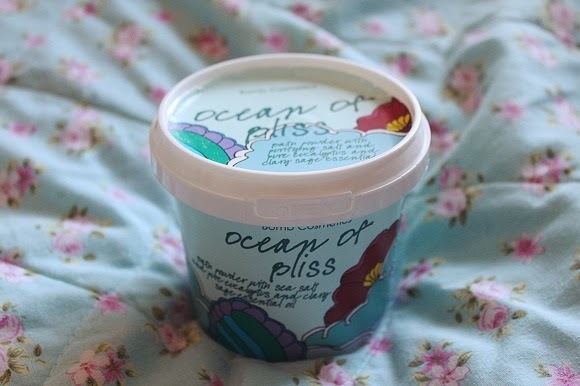 "A lightly fizzing bath powder with purifying sea salt, mineral rich seaweed and pure Eucalyptus and Clary Sage essential oils.We have added Sweet Almond and Olive oils to moisturise your skin. A refreshing oceanic fragrance with an ozonic heart and citrus top notes." My first impressions of the brand and the products that I ordered are extremely high. They were brilliantly packaged, colourful and fun plus all the bath products came in shrink-wrap type packaging so none of the glitter pieces or decorations on them were damaged or lost which I think is so simple yet such a useful thing to do as there's nothing worse than opening an order and seeing damaged products! I'll probably be reviewing some of these when I use them, so if there's any in particular that you'd like a review on then let me know and I'll be sure to do one for you! Has anyone else ever ordered from Bomb Cosmetics, what did you think of the products or which are your favourites? 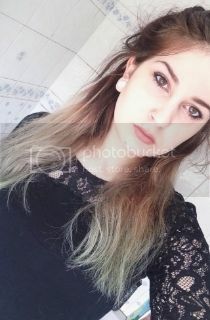 How do you think they compare to Lush too? Let me know your thoughts, I'd love to hear them! 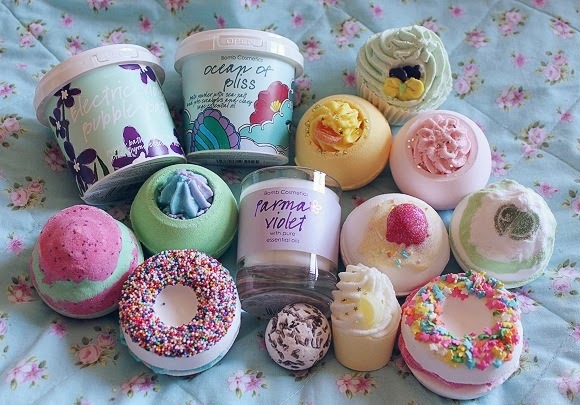 All the bath blasters look gorgeous!! Everything looks SO amazing. 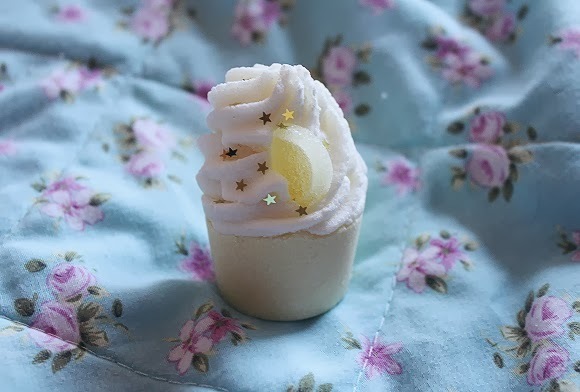 I'm definitely lusting over that candle now, maybe I'll make an order as a post-essay treat later this week!